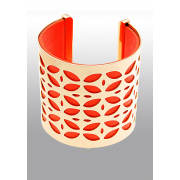 A bold coral and gold plated cuff style bangle from the eShe range by Newbridge. This is a beautiful bracelet that will compliment your outfit. 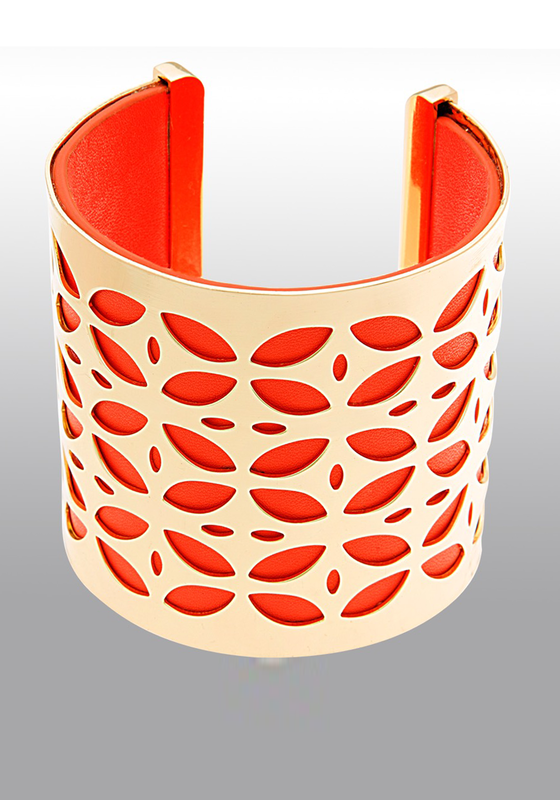 The open cuff design with cut detailing that displays the coral faux leather.